This is probably the most unbiased food review that I have ever written. 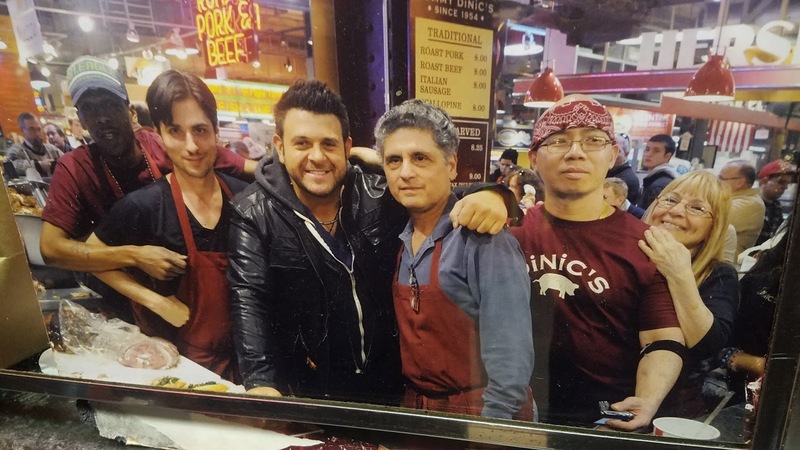 When I bit into Tommy DiNic's pork sandwich, little did I know that I was biting into what was crowned as the Best Sandwich In America on Adam Richman's show in 2013. I have not heard of Tommy DiNic's before I traveled to Philadelphia. 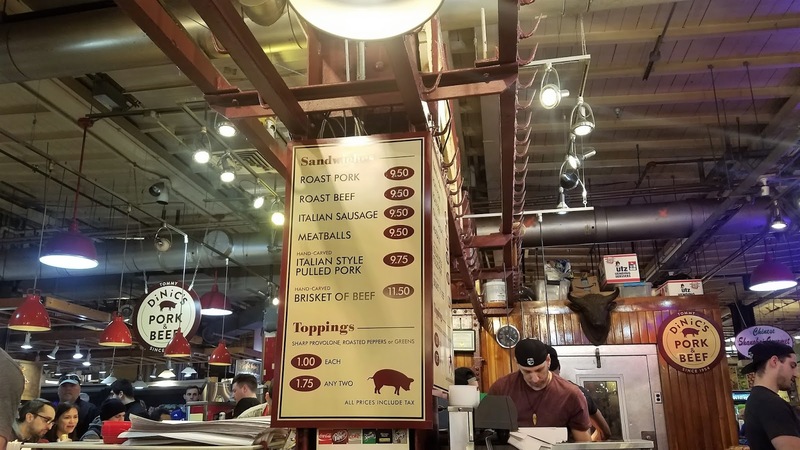 One my colleagues mentioned to me that before he flies back to Texas, he will make sure to eat DiNic's pork sandwich as he heard that it was on Man vs Food. Since Mr Sweetie already had his lunch at Hard Rock while I was attending my last meeting in Philly, I only bought one and we took it back to our hotel. As soon as I bit into it, I found it to be very delicious! The sandwich was hearty and very tasty. 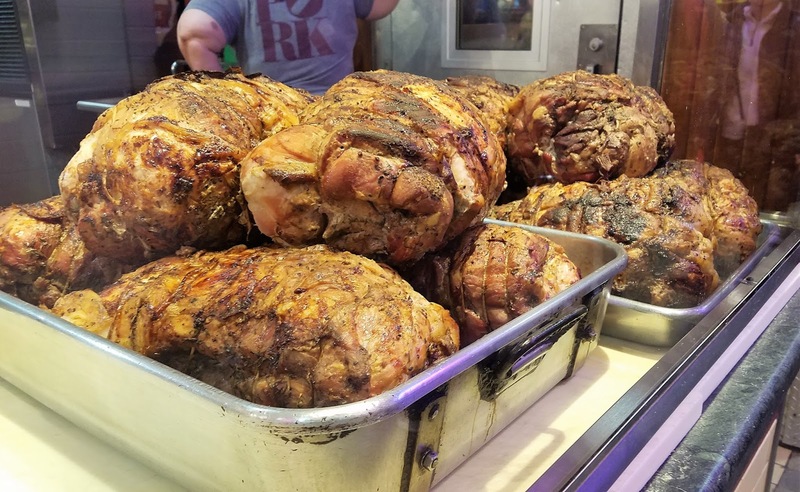 The pork was moist and very flavorful. And the spinach added an entirely nice flavor to the sandwich. Mr Sweetie was still full from his Hard Rock burger but I had him take one bite of my sandwich. He also thought that it was very good. This is the unbiased part -- I loved the sandwich so much that I saved half of it in my backpack all the way to San Francisco! I could only eat half and I could not bear to toss it out. I contemplated on eating it after 7 hours of flight time, 3 hours at the Philly airport and almost an hour commute back to my house in the Bay Area. Mr Sweetie told me that I will get sick if I eat an 11 hour old unrefrigerated sandwich. He was right. With sadness, I finally let it go in my garbage bin in California. Then while looking for DiNic's website, I came across the info that it has won the Best Sandwich in America award! I am not easily duped by pop culture or what not. I could care less at what the Travel and Food entertainment industries tout as the best thing to eat and therefore we must shove everyone out of our way so we can get our hands on it. In this case, though, it was almost like a blind test. I am not saying that DiNic's pork sandwich is the best sandwich in the US. It was just so darn delicious! My taste buds will be remembering it for a long time! This photo of Adam Richam was on display at DiNic's eatery.